It was my favorite because of how much she appreciated the work that went into it. 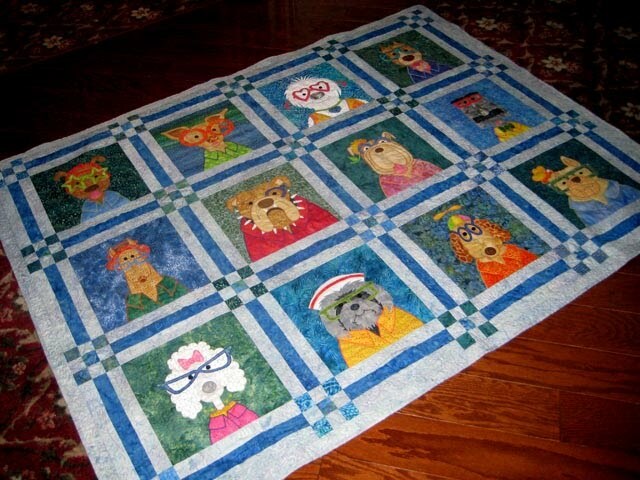 My friends lovingly referred to it as the "Guilt Quilt". Mom even bought a new couch to go with a quilt. Only a mom buys a new couch to go with a quilt, for goodness sake! (Not to mention the fact that she is decorating her new house in Swiss Chocolate!) All year I told her that there was no way I could get it done, even as I was finishing up. We made her go on an embarrassing treasure hunt around the neighborhood to claim her prize, and when she came back home she was shocked to find it finished on her bed! 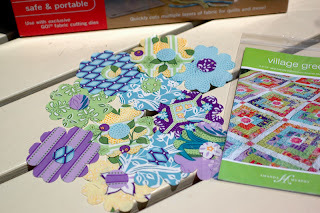 For another chance to win a fun prize, go over and visit Kelly's blog at I Have a Notion. She is also offering a great discount on the AccuQuilt GO! 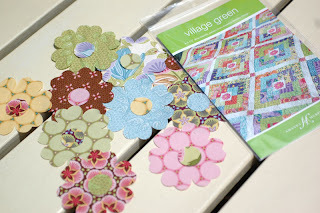 Round Flower Die that I used in the above photo and on the GO! Baby Fabric Cutter. the best handmade present I've ever given was a birthday dress that I did pinwheels on - turned out sooo cute I had a hard time giving it away! I made my sister baby quilts for her twin babies, before I knew anything about making quilts - I just flew by the seat of my pants, and they actually turned out to be quite nice. I adore your nephews quilt - its great! Thanks for the lovely giveaway! Hope this one counts.....My best handmade project will be given to my sister in November on the occassion of her 50th birthday. 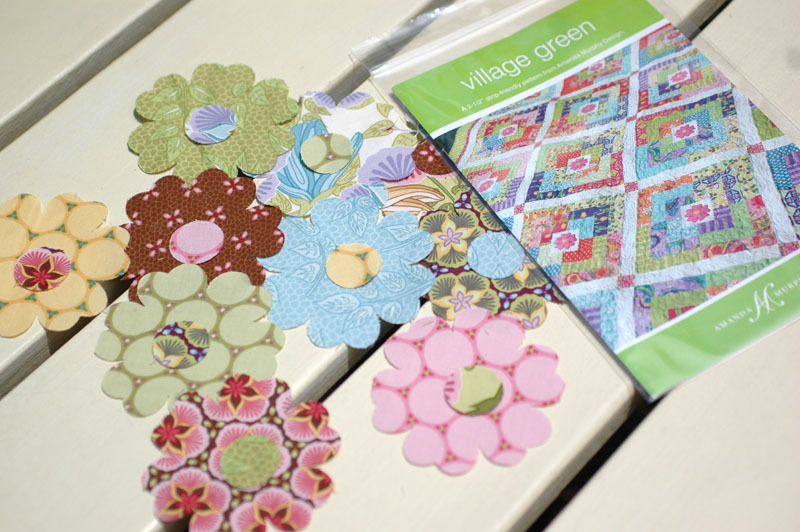 The project is a Grandmother's Flower Garden quilt that was done by my mother. Mom lost her battle with cancer before she was able to complete it. All that was left to do was the binding. Here it is years later and I finally took up quilting. So after a bit of research and a little practice I am adding the binding. This way my sister gets a present from my mom & me for her 50th. And - not sure if I ever got set up as a Follower because Blogger was being a bit of a meanie. I am receiving your e-mail updates though. The best project I've ever given - and probably one of the best projects I've ever worked on period - was a quilt I worked with my Mum on for my granddaddy's birthday. We appliqued and hand-embroidered "bits" from his life on all the individual squares - his sayings, images from childhood stories and things that were just iconic to him. It was amazing, and such a wonderful way to celebrate my granddaddy. I follow :) The best handmade gift I ever gave... is one I just gave two days ago! I made my best friend in the world, who is a photographer, a photo quilt of her time in Europe. Because she thought I was working on her t-shirt quilt, she was absolutely shocked! Gosh, I always try to make homemade gifts to family and friends and when I don't I feel like I have cheated them and myself!! The best homemade gifts are the ones given by surprise - when it is least expected!! Great giveaway, thakns Amanda. The best thing I've made thus far is pants for my bubba...I'm working on a my first quilt (a sampler) and I'm loving it! I was so proud to make and give away a large quilted wall hanging of a sailboat and sunset - made with all batiks. 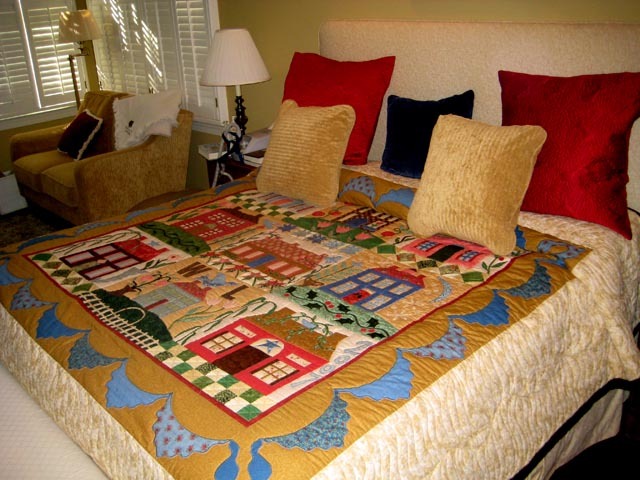 The quilt was made for my dear friends who have a home on the harbor in Martha's Vineyard. Everyone who sees the quilt - just LOVES it! I think the bright colors just make you smile. Hi Amanda. Loved your story about your Mom - the things we do for our children! It's taken some thought for me to decide which handmade gift I've given that was a favorite. There have been many but I think I have to say an embroidered sweatshirt I made for my daughter might top the list, even above the many quilts. When she was nine she was diagnosed with a brain tumor and she had to undergo so many tests. She hated them all so I made her a sweatshirt to wear that might boost her spirits and ease her agony. It was embroidered with an angel surrounded by the words, "treasured, adored, loved". She walked the halls of the hospital many times adorned in that shirt! Nine years later we still have the shirt and our beautiful daughter! She will soon leave for college armed with a stack of quilts and a perfectly healthy body! And, she is still "treasured, adored and loved". The best project I have completed was a quilt for each person in a family of eight family members - all for the same Christmas! The best thing I made and gave away was a quilt for my first grandchild--my baby's baby! He's such a joy and I hope to make more "giveaways" as he grows.